Home > Blog > What Does It Take to Make a Binding Contract? When you enter into an agreement/relationship with a customer, a vendor, or even an independent contractor, you are making a contract. You need contracts because they serve as legally valid agreements protecting your interests. 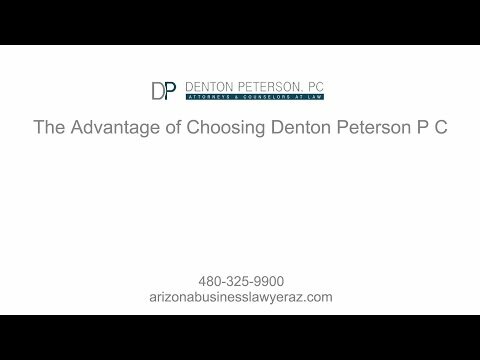 In Arizona, a contract may be either written or oral. If one party to a contract fails to perform on the contract, that party is deemed to have breached the contract and may be sued by the non-breaching party for damages. Contracts are the most fundamental building block of business law because they help one party understand what the other party expects of them and vice-versa. This article addresses the basics and the necessary elements required to create a legally binding contract, as well as the implications of breaching the contract. 3. And “consideration” by each party. Contracts get messy when parties are in disagreement on what an offer is, what constitutes acceptance, and the definition of consideration. Each of these elements can arise in a vast number of ways that raise questions as to when they are satisfied. Clarification for these disagreements may be resolved at the judicial level by the courts in your jurisdiction. In other words, they decide when each element is met. Unfortunately, courts in different jurisdictions vary slightly on interpretations of these elements based on past court decisions; however, past decisions on particular issues do not guarantee that the court will decide the same way, even if the facts of your case appear to be identical. Contract law follows an objective theory in understanding the intent of the offeror. In other words, an offering party’s intent is what a reasonable person in the shoes of the other party would believe about the offering party’s intent. So, if a reasonable person would believe that the person making the offer intended to create a binding contract by his statement, then the accepting party would be justified in believing they could create a contract through acceptance. If a reasonable person would believe that the offer was not actually an offer based on the circumstances, an accepting party may not bind the other. Sometimes offers are made openly to the public. These offers follow the same objective theory as a normal offer. For example, if there is an advertisement in the newspaper by a sports store for a ten-dollar baseball glove and the advertisement includes enough information to objectively manifest to a reasonable person that the deal is real, then the advertisement functions as an offer. If the store then charges you fifty dollars when you purchase the same glove, then there has probably been a breach of the offer and you may be justified in getting the glove for ten dollars. On the other hand, if the advertisement does not objectively manifest an offer but remains a mere advertisement, then the offeror will not be held to the advertised price. Acceptance can only be made when there is agreement to the exact terms of the offer. When changes are made to the terms of the offer, there is no acceptance. Instead, it is a rejection of the initial offer and is instead considered a counter-offer. At this point, the acceptance becomes a separate offer for the original offeror to either accept or reject. The initial party can then provide another counter-offer if necessary. Once a party has agreed to the exact terms the other has laid out, acceptance has been made. While most contracts nowadays are made in person or through email, acceptance through faxes or mail follows the mailbox rule. According to the mailbox rule, acceptance is binding when it leaves the offeree’s possession. In the case of mailing acceptance, this would mean that the offer has been accepted as soon as the letter is placed in the mail system. Sometimes, performance is an appropriate way to accept an offer. Following Restatement §45 of Contracts, an option contract is created when an offeree provides the performance requested in an offer. In these cases, acceptance is made as soon as the offeree begins performance and it usually cannot be revoked without breach of the contract. While there are some very limited exceptions, contracts generally require “consideration” in order to be binding. While the concept of what constitutes consideration can be complex, stated simply, consideration is the value that each party must contribute to the agreement. Courts look at two elements when determining if both parties had/provided consideration: detriment and exchange. First, the party who receives a promise must give up something of value, whether this be monetary or nonmonetary. Second, the party making the offer makes it in exchange for something of value. For example, lets say an aunt offers to take her nephew to Disneyland. He accepts her offer, but she backs out at the last minute. Assuming that he has not exchanged anything in return for his aunt’s promise to go to Disneyland, the nephew probably cannot legally enforce the aunt to follow through with her offer or sue her because he has given nothing of value to the aunt in exchange for her promise to take him. Courts are not concerned too much about the size of the consideration, just that it is something of value. Even one dollar for a piece of land is sufficient as long as there was actually consideration and it was not merely symbolic or a joke. A simple example of where consideration exists on both sides would be where Andy offers to sell his bow-tie to Billy for $10. Billy accepts that offer by providing the $10 to Andy, and Andy, in turn, gives Billy the bow-tie. Andy gave up something of value (the bow-tie), in exchange for something of value (i.e., the $10). The same is true for Billy—he gave up $10 for the bow-tie. While the fundamental principles in the world of contracts may seem simple and straightforward, in reality, they can be complicated, obscure, and weighed down with contradictions. Even though courts have spent hundreds of years trying to clear up these rules, they are always in a state of flux which can sometimes be murky. 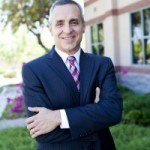 If you are unsure whether a contract you have made is legally enforceable, or if you are considering making contracts that you want to be legally enforceable in the future, then contact an experienced business attorney in Gilbert to avoid falling into any pitfalls. I Did Not Sign Any Documents. Can I Be Sued for Breach of Contract?